Today is the Day 24 of the SBI Clerk 60 Days Study Plan. Numerical Ability Section has given heebie-jeebies to the aspirants when they appear for a banking examination. As the level of every other section is only getting complex and convoluted, there is no doubt that this section, too, makes your blood run cold. The questions asked in this section are calculative and very time-consuming. But once dealt with proper strategy, speed, and accuracy, this section can get you the maximum marks in the examination. Following is the Numerical Ability quiz to help you practice with the best of latest pattern questions. Directions (1-5): Study the following pie charts and answer the related questions. Q1. What is the ratio between no of votes acquired by BJP in Lok Sabha to votes acquired by Congress & Others in both elections? Q3. What is the difference between the central angle of Congress & others in Vidhan Sabha and SP & BSP in Lok Sabha.? Q4. If 30 % of SP voters from Loksabha 2014 would have changed their opinion and 6/7th would have voted in favour of BJP in and rest to congress. What will be the new composition of BJP in graph? Q5. Find the ratio of total votes received by Others in both the elections to the votes received by the Left and AAP in Lok Sabha election? Directions (6 – 10): The given Pie chart represents the percentage of failed students in different sections of HSSC Mains Exam 2017. Q6. If total candidates failed in HSSC Mains exam is only 24% of the total no of candidates appeared for HSSC pre exam, then total no of candidates appeared in HSSC pre exam are approximately how many times the no of candidates failed in Quant section of HSSC Mains Exam? Q7. What is the difference between the no of candidates failed in Reasoning & GS section together and no of candidates failed in Quant Section? Q9. What is the ratio of no of candidates who failed in English and Reasoning to the no of candidates failed overall in Mains exam? Q10. 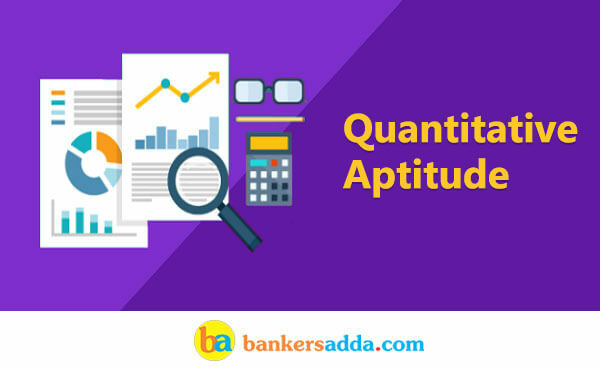 What is the central angle of the candidates who passed in English and Quant?